A driver allegedly stabbing a passenger, reports of significant financial losses, losing what’s essentially a dumb PR battle with California regulators. For a year that’s basically been the equivalent of bad performance art, Uber is finding numerous ways to end 2016 on a sour note. In Michigan, there was Jacob Allemon, a 23-year-old Uber driver who was charged this month for allegedly stabbing a passenger attempting to head home with his wife from a holiday party. Allemon, police said, felt his Honda Civic was “disrespected,” after the victim tapped on its window. The news was especially glum for Michigan, which dealt with another Uber driver Jason Dalton, who’s charged in relation to a seemingly random shooting spree in the city of Kalamazoo, which left 6 dead. The bad PR of an alleged stabbing in a state that was the site of a mass shooting was only compounded by a bad PR squabble on the west coast. Its self-driving efforts hit a bit of a snag this month, too. Uber, reportedly valued at $69 billion, for weeks declined to pay a $150 permit in California to legally fall in line with the rest of automakers, and, according to state regulators, legally implement its self-driving pilot in San Francisco. After a public back-and-forth that grew sillier by the day, California regulators effectively shut the program down, when it revoked the registration for Uber’s fleet of 16 (somewhat) self-driving vehicles. Uber said Thursday that it was going to relocate the cars to Arizona, which seems jubilant at the prospect. 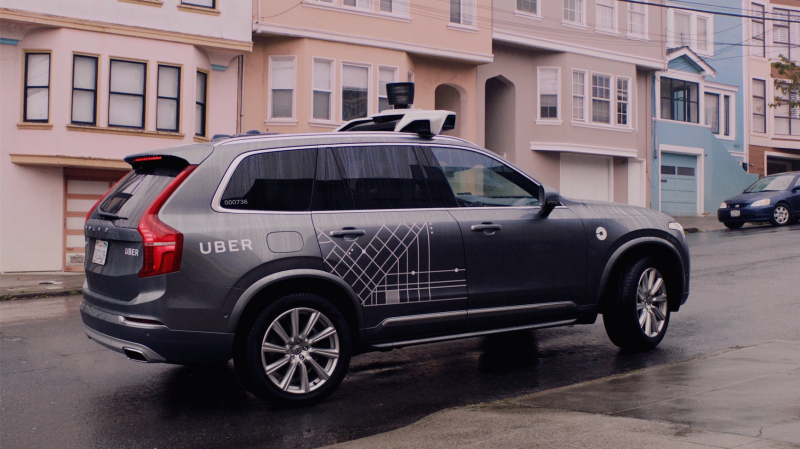 Gizmodo noted Arizona’s official guidelines for autonomous cars don’t require a driver to be physically present — a potential boon for Uber’s self-driving expedition. Governor Ducey’s Executive Order and the Self-Driving Oversight Committee in 2015 require that human operator be able to take control of all autonomous vehicles at any point, but interestingly do not require a person being physically present. A remote operator fulfills this requirement. With the enthusiastic support of its governor, Uber’s self-driving dreams may have found their perfect testing ground. While it might be a potential silver-lining, Uber’s third quarter numbers emerged this week, and damn: the company has racked up reported losses of more than $2 billion. Uber’s revenue is increasing, but with significant subsidies being doled out to drivers, its eye-popping losses are continuing to hold strong. The solution, likely, is to ramp up efforts to rely on self-driving vehicles to move riders about. Of course, that relies on the success of the autonomous programs. We’re basically all in a holding pattern. The charge was never processed, in the end, but when passenger fares only account for 41 percent of every trip, Uber probably could’ve used it.